Following in the steps of San Francisco, Oakland and Berkeley, Hayward has certain rent control and just cause eviction protections for tenants. Renters make up approximately 49% of all Hayward residents. A majority of Hayward residents, 57%, spend more than 30% of their income on housing. The Hayward City Council has found that the lack of adequate, safe, sanitary, and affordable housing constitutes a public emergency. The tenant has threatened, either verbally or in writing, to commit a crime which would result in death or great bodily harm to a tenant, guest, manager, owner, and where a report has been filed with the Hayward Police Department. Landlords in Hayward are still subject to State law that requires all units to have a functioning heater, safe electrical outlets, no leaks when it rains, running water, and a unit that is in general good repair. Often times when a heater goes out, landlords try to give the tenant a portable electric heater. This is not the same as providing adequate heat. The heat for a residential unit must come from a permanent heat source, not a portable heater. The City Council of Hayward found that there was a lack of decent, safe, and sanitary residential housing units in the city. The lack of housing drives rental prices too high and has a significant negative impact on senior citizens, disabled persons, and those of low and moderate income. The City of Hayward also had the dual purpose of eventually eliminating the need for rent control and ensuring that landlords get a fair return on their investment. Any building that has 5 or more residential units is covered by the Hayward Rent Ordinance. Additionally, any landlord that owns 5 or more residential units, whether those units are on the same piece of land or not, will have all of his or her units covered by the Hayward Rent Ordinance. New construction, built after 1979, is not covered by the Hayward Rent Ordinance. Motel and hotel rooms are not covered by the Hayward Rent Ordinance. Housing projects funded or insured by the State or Federal government are not covered by the Hayward Rent Ordinance. Rooms inside a hospital, extended care facility, or convalescent home are not covered by the Hayward Rent Ordinance. Lastly, dorm rooms owned or operated by an educational institution are not covered by the Hayward Rent Ordinance. For those units that are covered by the Hayward Rent Ordinance, generally, a landlord may only increase rent 5 percent in a 12-month period. While a landlord may be able to increase rent by more than 5 percent, the landlord will have to provide documentation justifying the rent increase. Also, if a landlord has not raised rent by 5 percent in prior years, the landlord may “bank” those increases and make the next increase greater than 5 percent. However, the rent may not be increased by more than 10 percent in any 12 month period, even with banked increases. The Hayward Rent Ordinance protects tenants from extreme fluctuations in housing costs. 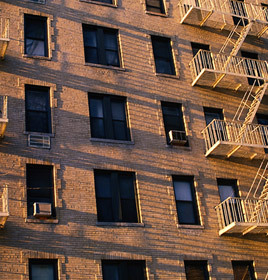 After a unit is voluntarily vacated, the landlord may be able to “decontrol” the unit or remove it from the rent increase limitations if certain building code and improvement requirements are met. The penalties for violating the Hayward Rent Ordinance are significant. The landlord is liable for three times the amount of any rent increase that was wrongfully imposed, provided the landlord acted willfully. In addition to the penalties under the Hayward Rent Ordinance, a tenant may be entitled to additional compensation. One of the experienced attorneys of Bracamontes & Vlasak, P.C., is available to discuss your case, the options available to you and how we can assist you. We offer a free initial consultation, after which you are under no obligation to retain us as your attorneys. We commonly handle this type of case on a contingency fee basis, meaning we do not get paid unless you recover. For a free consultation concerning your Hayward Rent Ordinance case, please contact Michael Bracamontes at 415.835.6777, extension 101 or Ryan Vlasak at 415.835.6777, extension 102. You can also email us.